Living in the 21st century in the United States, there’s no bones about it – we get pretty spoiled, especially when it comes to medical supplies. Rarely do any of us think about where these products came from, how they came to be and by whom, but it’s hugely important to know this. Any product that saves your life deserves to be respected, and respecting something definitely means knowing its history. If you use catheters daily and haven’t looked at the fascinating history of them before, now is definitely the time. It’s been a rocky history, mainly because of a lack of adequate materials. But with plastic being invented in the last hundred or so years, everything has changed for the better. You can now catheterize yourself without fear of getting a UTI every other week. It’s really quite amazing what the invention of the few modern materials can do for the human race. To learn more about the history of catheters, check it out below! Amazingly, archaeologists have discovered evidence of catheter-use from over 3,000 years ago by the Syrians, who would either use straw, the tops of onions, or palm leaves, rolled into a catheter shape, to create a catheter. I can’t even imagine the infections that came from using these things…or maybe not? Perhaps the body gets used to it, just like a lot of things that introduce bacteria to the body. Whatever the case, this tough situation reminds me of that episode from Lost where Jack has to create a needle, and does so using a piece of a tree. While admirable, let’s just say it barely worked. With so many modern medical supplies, including catheters, you should definitely feel lucky for being alive today. Although the design was not initially for him, but for his brother who suffered from kidney stones, Benjamin Franklin can be credited for helping develop the modern catheter. While plastic or rubber were not around while he was alive, he was still able to fashion a catheter using silver, as well as it being completely comprised of movable joints so that it can remain stiff during insertion. Ben Franklin refuses to take credit for the flexible catheter design however, saying he got the idea from famous Italian urologist Francesco Roncelli-Pardino, who designed this catheter in 1720. The entire landscape of catheter design changed in 1844 when Goodyear’s patent for vulcanized rubber was approved. While this rubber was far from perfect for catheter-use, it was definitely much better than anything that had come before it. It allowed the catheter to bend, which is huge for insertion. Goodbye organic materials for catheter-use and hello safer man-made materials. 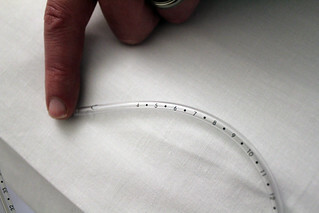 In St. Paul, Minnesota in 1935, urologist Dr. Foley debuted his brand new catheter design with an inflatable balloon; this allows the catheter to easily remain in the patient indefinitely without having the use any tape, which is a good thing because tape can affect the skin negatively after long-term use (as we all know). Unfortunately however, Dr. Foley was not able to patent his design, despite the common catheter still bearing his name. After World War II, an influx of injured veterans with spinal cord injuries occurred and doctors had to scramble to find better ways to help these men catheterize without living with chronic bladder issues. David S. Sheridan is the urologist who developed the modern disposable catheter made completely of silicone, and he’s credited for saving thousands of lives because of his invention. Catheters, the ultimate device for helping things get to where they need to, are without question one of the best medical miracles of the last century. Initially created for the bladder, they’re now used for all types of procedures and organs, including heart surgery, constantly lives with each use. What organic material do you think would work for creating a catheter in an emergency situation?